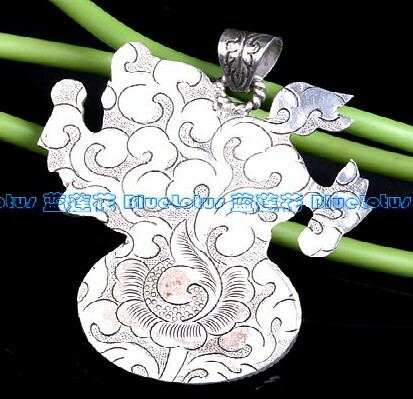 Handmade Tibetan Old Siver Totem Pendant. 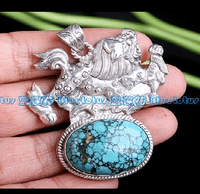 This totem pendant was handcrafted by the Tibetan Craftsmen from stirling silver and turquoise in Nepal. Size: 56*30*8mm. 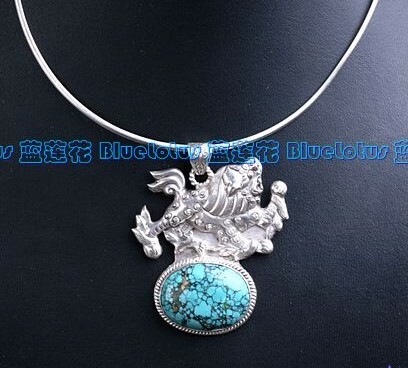 Weight: 30g.